After defeating SK Gaming Prime last week, we were put against Different Dimension, who took down Sparta in one of the expansion tournaments biggest surprises so far. Building from the momentum of game 1, Reason come up huge in the first 5 minutes with first blood and another kill as Xayoo escapes with his life. The action doesn’t let up with Takefun bullying Magebane into backing behind his turret where Xayoo snipes with a Lee Sin Q. Taking control of the game very early on with objectives and a gold lead, the game carries on with neither team gaining more ground until Xayoo and Celavar sneak a Baron after hopping over the wall 24 minutes into the game. 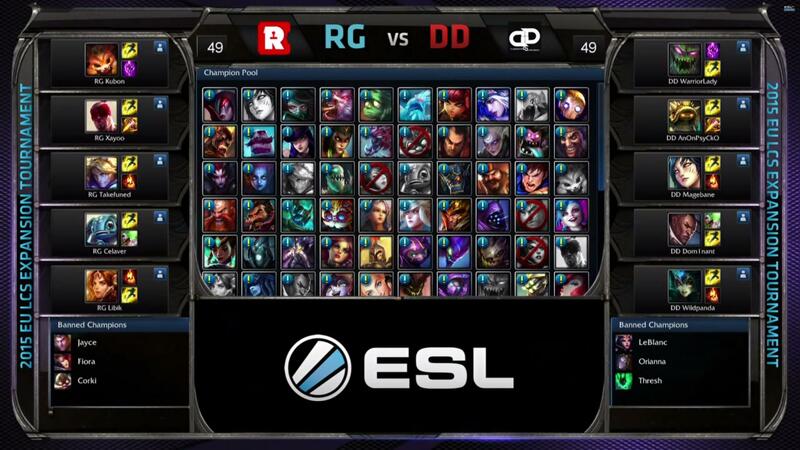 DD are unable to defend against a RG squad with baron buff and lose structure after structure into the base. 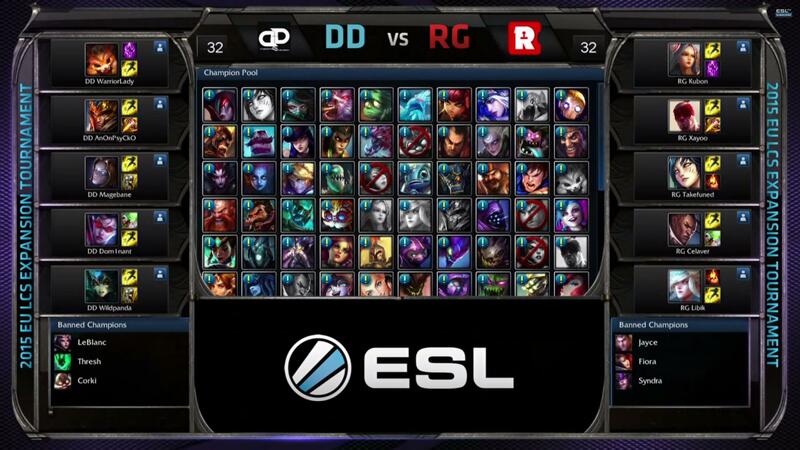 Reason go to take the Baron as it respawns and DD realising that this will be the final nail in the coffin rush to stop it but get aced in the resulting teamfight allowing Reason Gaming to take the second game and advance to the offline portion of the tournament. The offline portion takes place at IEM Cologne and is a double elimination round, featuring Reason Gaming, Giants! N!faculty and H2k Gaming and our first match is against Giants!